Let us save you the time and hassle of filing your next business entity. Just provide us with your name choices and any other pertinent information, we will promptly check the availability of your name choices, draft the formation to you specifications and file with the Texas Secretary of State. We then forward the official documents to you via your preference of mail or email or with your corporate kit. Form your Texas Corporation for only $399 State fees included! Sorry, coupon codes will not work with this item due to the included State Fees. 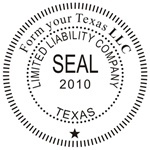 Form your Texas LLC for only $399 State fees included! Form your Texas Nonprofit Corporation for only $124 State fees included! Protect your privacy! 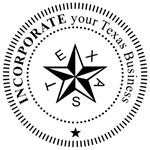 Just select Texas Corporation Supplies Incorporated as your registered agent.